Male and female coaches that are black belt and NCAS accredited. Many are ex-international players and ex-state and national coaches. All the coaches at Tiger-Do Martial Arts are Sho-Dan (1st degree black belt and above) and have Australian Government Accredited NCAS coaching recognition. Most have extensive experience and expertise at an International, National and State level – as a coach, athlete and manager. There are coaches with University qualifications in Sport and Exercise Science and Teaching. We have both male and female coaches to ensure we cater for participants needs. Please watch the video to see some of our coaches in action. Please read below to find out more about our highly respected and trusted staff. Terry is the Head Coach and founder of Tiger Do Martial Arts (TDMA). 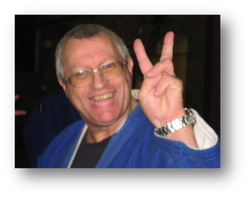 Terry is an IJF (International Judo Federation) 6th Dan Black Belt and a former Executive Member of the NSW Olympic Council and the Strategic Judo Planning Committee for the 2000 Olympics. Terry is a life member of Judo NSW. He has represented Australia and NSW as both an athlete, coach and manager. This includes being an official team training partner at the 2004 Olympics. In addition, Terry has coached teams at competitions including World and Junior World Championships and various tournaments and training camps throughout Europe, Asia, Oceania and the Pacific Rim. Terry’s role at TDMA is to oversee the design and implementation of the programs (martial arts, fitness, Women’s self-defence forum, schools sports program). He also coordinates the voluntary community work TGMA is involved in. This includes work for the Cancer Council, Relay for Life, Dujon Zammit Transplant Foundation as examples. Terry holds a MLO (Member of the Order of Liverpool) and has been previously names Liverpool City Council’s ‘Volunteer Of The Year’. In 2009, he became the author of a Martial Arts and Philosophy book. Donations from sales were given to the Cancer Council. Belinda is Tiger-Do Martial Art’s most successful female athlete. Belinda represented Australia and NSW as an athlete across 13 years. Belinda was State and National Champion across the U/16, U/20 and Senior age categories and Oceania Champion numerous times. She participated in competitions including the World Championships, Junior World Championships, Commonwealth Championships in addition to many competitions across Europe, Asia, Oceania and the Pacific Rim. Belinda has a extensive experience being NSW Girls (U/16 yrs) and Young Women’s (U/20 yrs) State Coach, is a Ne-Dan black belt, holds a Bachelor of Sports Science (Exercise Science) degree and is currently a Co-Principal at Merrylands High School. Belinda’s coaching at TDMA specialises in the female and school aged children. Nigel represented NSW and Australia as an athlete across approximately 10 years. Nigel was State and National medallist across the U/16, U/20 and Senior age categories numerous times. He participated in competitions including Commonwealth Championships; British, French, Korean and U.S. Opens; Canada Cup in addition to numerous Oceania's. Nigel has a extensive experience being NSW Boys (U/16 yrs) and Young Men’s (U/20 yrs) State Coach, is a Ne-Dan black belt, holds a Bachelor of Secondary PDHPE Education degree and is currently a Deputy Principal at Yagoona Public School. Nigel coaches across both of Tiger-Do's do-jo's. Heath is Tiger-Do Martial Art’s most successful athlete. Heath represented Australia and NSW across 15 years. Within this time Heath won numerous Oceania, National and State Titles. He came 11th in the Athens Olympics and was a finalist in the Commonwealth Games, Pacific Rim Championships and the East Asian Games. He has participated in 3 World Championships, a Junior World Championships in addition to competitions across Europe, Asia, Oceania and America and Canada. At Tiger-Do Martial Arts, Heath is a San-Dan black belt. He coordinates programs to meet the needs of our elite players. We currently have a squad of players who are State and National representatives. Heath also provides private tuitition for judo progression and also leads our MMA in Judo program. Pawel is one of TDMA's Sho-Dan black belts. 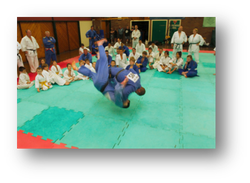 He provides technical advice at TDMA and leads the development of Kata progression for our senior players in addition to assisting with coaching during competitions and training. Pawel is a Doctor and Surgeon and provides highly respected advice to TDMA members and supporters in this area.